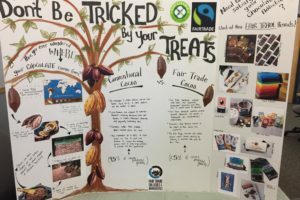 Home » Don't Be Tricked By Your Treats! 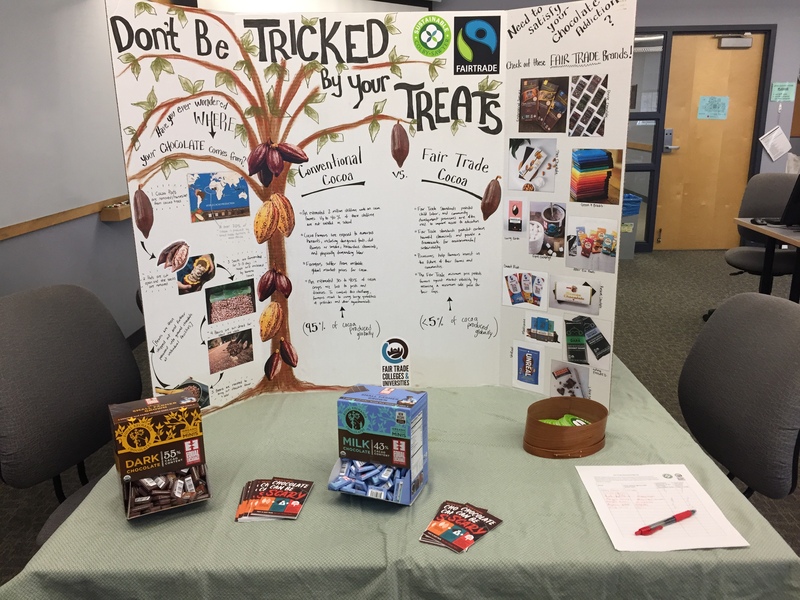 Don’t Be Tricked By Your Treats! 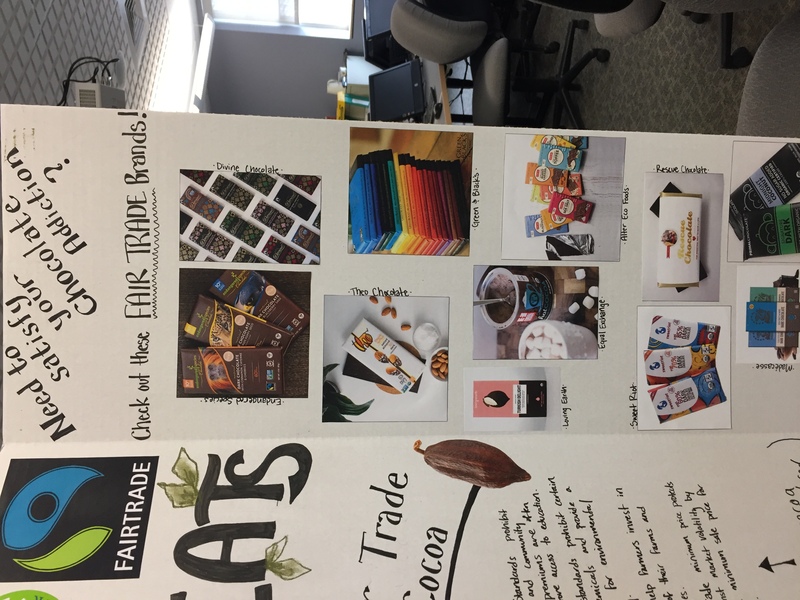 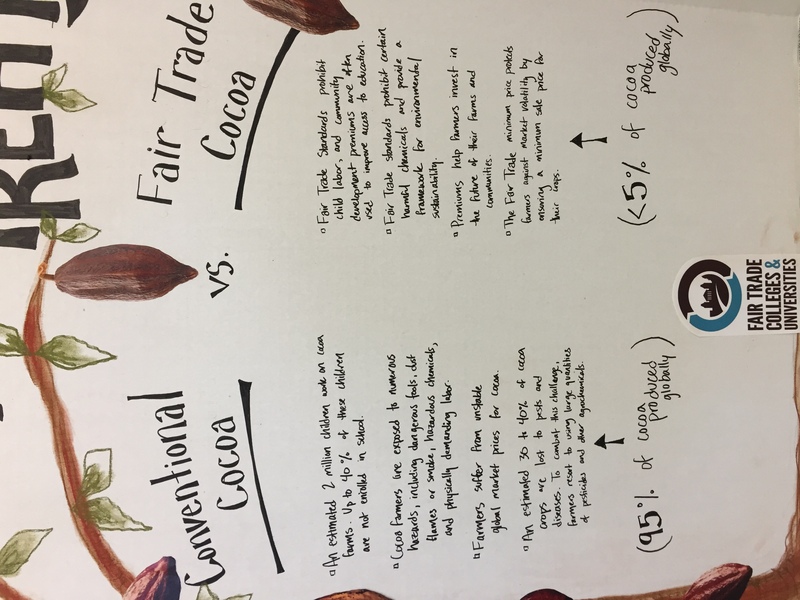 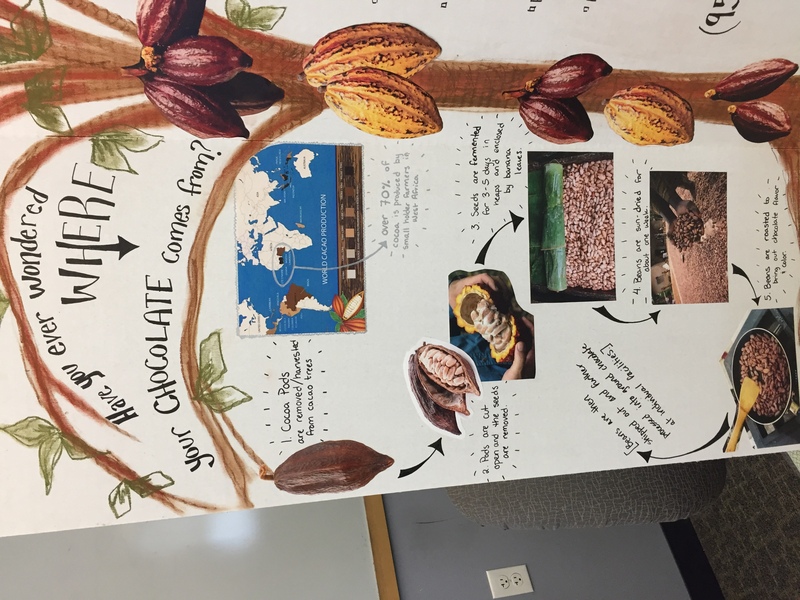 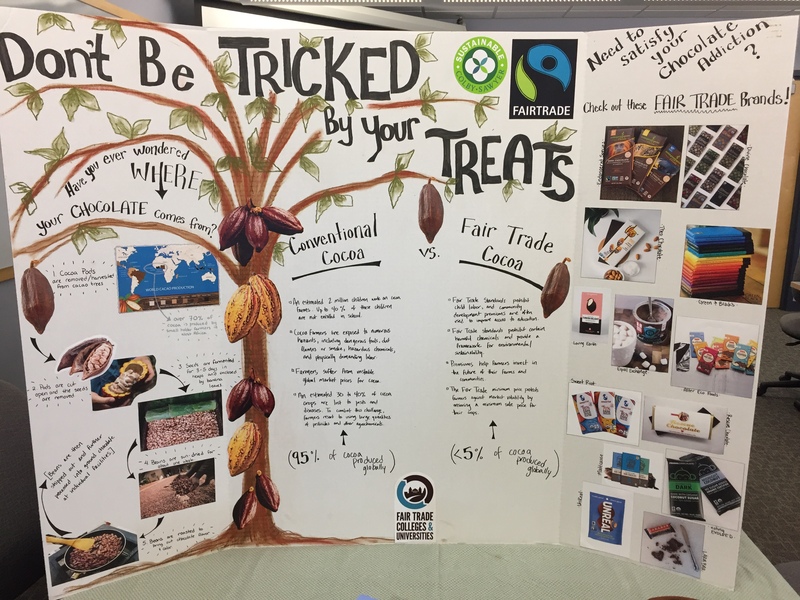 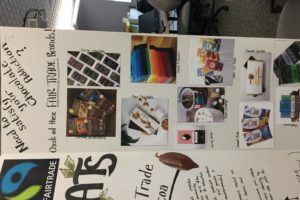 Since Halloween attracts many of us to conventionally-processed chocolate treats, we wanted to inform our campus about the importance of supporting Fair Trade chocolate companies. 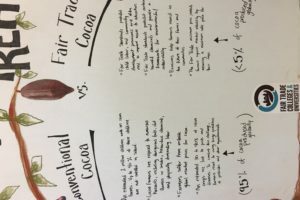 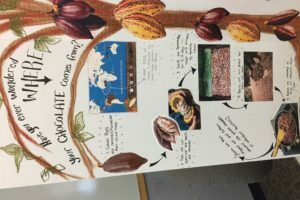 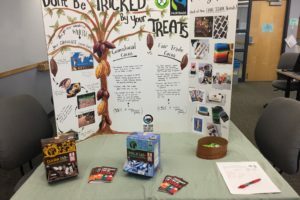 In the foyer of our campus dining room, we set up a table that had a trifold poster board (to show how chocolate is made, conventional vs fair trade cocoa facts, and some alternative Fair Trade chocolate brands), 1/4 page handouts that compare scary conventional chocolate to fair trade chocolate, and 2 boxes of equal exchange chocolate minis.